Amgen is the world’s leading biotech company. The assignment was to create positive visual experiences for visitors and employees. After provided six ideas, we settled on a mosaic pattern that conveyed motion, depth, and connection. 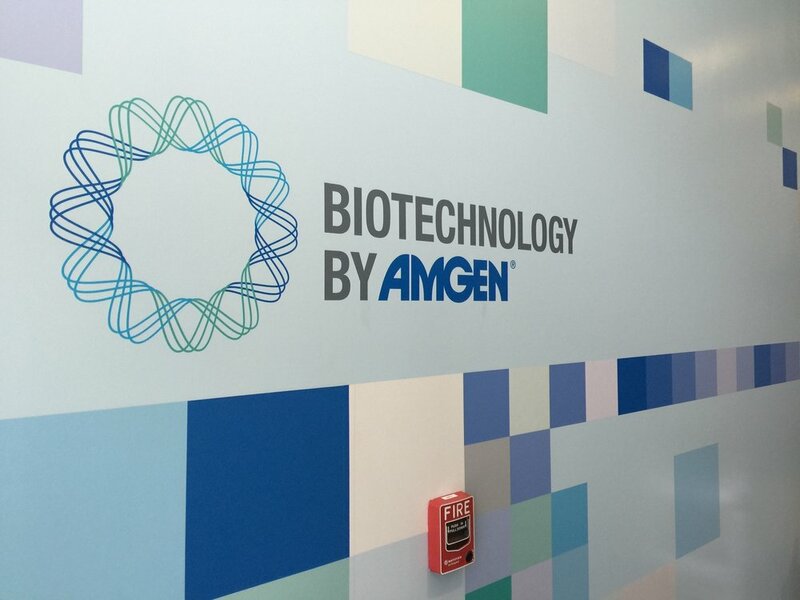 The overall color scheme is grounded within the Amgen brand. I coordinated with painters and large format vendors to pull this off. Each lobby had its challenges. The mosaic pattern solution gave me the opportunity to use it an any spacial situation. I have two more lobbies to execute in 2017.